Hustle. Work hard. Never give up. Entrepreneurship. Words that almost every millennial or anyone who uses social media these day can see in their feed day after day. By following and listening to these superstar social media entrepreneurs like Gary Vaynerchuk, Tai Lopez, Tim Ferriss, my colleague and I decided that enough is enough! We need to start our own business, build an empire and become the Vikings of our day. If they can do it, we can do it as well. Starting your own business sounds like a big deal, but these days you can set up your “business” website and social media within few hours and start selling. It’s never been that easy before. Everyone can call themselves entrepreneurs. Although, just having a website and a social media account won’t get you far. It’s all about getting clients and generating revenue. Now that’s the ? to success. But where do you start?? While working at our full time jobs we have decided to start a side business with the goal of generating $10,000 per month within 12 months of launching. In this series we will be as transparent as possible, sharing everything that we learn and all of the mistakes we make along the way. The updates will be monthly with more frequent posts about other topics that we think young entrepreneurs and people who want to start online business may find valuable. Why are we blogging this? As two young entrepreneurs who have always dreamed of running our own businesses, we believe that we are in a similar situation to a lot of other entrepreneurs or ‘wantrepreneurs’. We have both run small businesses in the past and are always trying new ideas, but this time we think we are on to something bigger with the potential to provide a full time income. This is a situation that we have wanted to be in for a long time and through blogging we can keep track of everything as it happens. This blog would be something that we would follow and enjoy watching grow over time, and we think you will too. Hopefully our readers will learn from our experiences (most likely our failures) and use it to improve their own businesses. Also, this blog will act as a place for us to record our thoughts, plans and goals over time and hold us accountable. We chose this target because $10,000 a month is a huge goal for us both and achieving it will take an incredible amount of work. It is a realistic but difficult goal to achieve. $10,000 per month in revenue will leave us with enough profit to quit our 9-5 jobs and start working on Custom Filterz full time. To some of you it may seem too ambitious, and others too easy but for us it seems about right. If and when the goal is reached, I am sure we will replace it with a new and more ambitious target. These numbers may seem low, and they are, but that’s because we have been testing ideas and suffered a few setbacks. We have been focusing on creating a manageable process that allows us to deal with a large number of clients effectively and puts us in a good place to grow. In June, we missed out on 2 weeks of sales because we changed our name from Geo Snapchat Filters to Custom Filterz, along with our website and pricing strategy. We both have invested $150 of our own money to get the business started. Luckily we have a lot of skills between us that have helped save money where others wouldn’t have been able. I also managed to win a small prize fund of $350 from my university, which we haven’t spent yet, but will go into detail when we do. – Monthly updates on revenue, profit, goals, experiments etc. – More frequent posts about particularly important or interesting topics that we think you may enjoy (such as how we use Trello as a CRM). 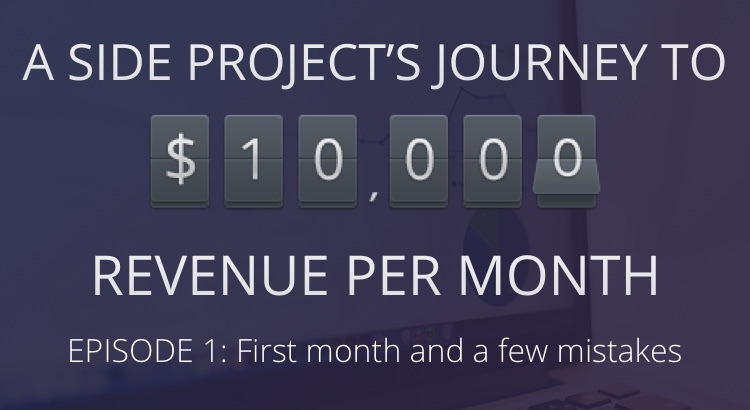 If everything goes to plan, or at least make significant progress then this series will become a valuable blueprint, showing how we grew from nothing to generating $10,000 per month in revenue. Each month we will layout the main goals for the coming month and discuss progress on the previous set of goals. As this is the first post, we will just include the goal for July which is to generate $1,350 in revenue. We will be back on the August 1st with an update of how things went this month so be sure to check back. Also in next months post, we will talk about how getting a cease and desist letter from Snapchat’s lawyers set us back 2 weeks and what we did to overcome it. Thanks for taking the time to read this month’s update ? We are super excited about this new series!